In this post, we've tackled the 3 most common fears HR leaders have as they consider an on-site clinic. HR leaders typically worry about money, time, and privacy, according to Vera’s Customer Success Director, Lindsey Gregerson. Let’s unpack the drivers behind each one, and how Vera tackles them. Money — “Especially if it’s their first clinic, many organizations worry about investing all this money,” says Gregerson. HR leaders want to know that their investment is going to pay off with high employee utilization. 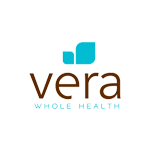 Our experience is that once people use a Vera clinic, they’re much more likely to continue because of the convenience and the quality of the care they receive. “That’s why a lot of our promotion, launch strategy, and incentive programs are designed around getting patients a single experience. Then they’re hooked,” notes Gregerson. Time — HR leaders have lots of responsibilities beyond the launching of a new clinic. It’s only natural to worry about the time commitment that goes along with it. To ease those concerns, Vera lays out clear project timelines so HR staff know what’s expected of them. Long lead times and specific deliverables help clarify the unknowns, but it’s not all up to HR teams. “We take on as much as possible to make it as simple as we can for them, specifically around things like employee communication,” says Gregerson. Privacy — The relationship between an organization and an on-site clinic can raise concerns about privacy. HR leaders don’t want employees to think that their employer has access to their medical information. But there’s no need for alarm. The same federally mandated HIPAA safeguards that protect all patients in any healthcare setting protect Vera patients too. That’s just one of the things we work with HR staff to communicate to patients prior to launch. Many of the biggest concerns surrounding the launch of a new clinic boil down to a fear of the unknown. The best thing you can do as an HR leader is work to communicate a clinic’s benefits clearly to your employees. “There are so many services offered that it’s important to give employees the right communication over the right period of time and through the right channels to make sure they’re getting the info they need,” says Gregerson. We make sure our clients have the tools and resources they need to effectively communicate all the great benefits of a new on-site clinic, so employees are excited and informed when the doors open. Want to find out more about what goes into a successful clinic launch? Check out our eBook: Employer's Guide to Healthcare.